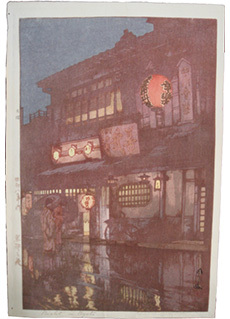 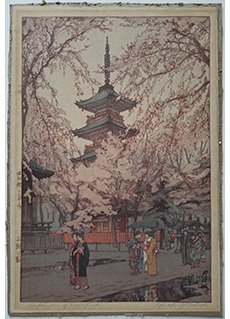 In a Temple Yard by Hiroshi Yoshida Jizuri Seal. 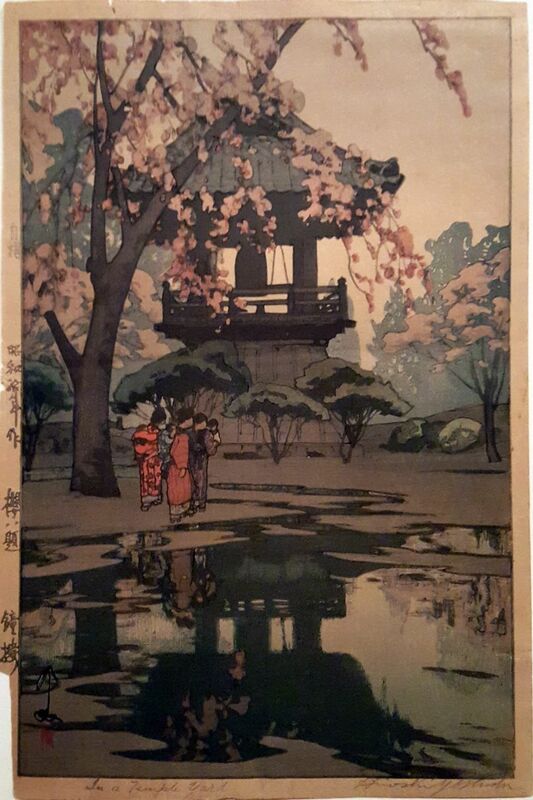 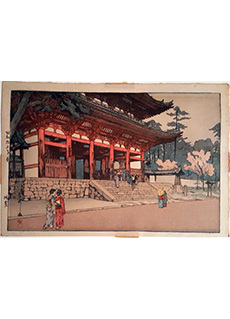 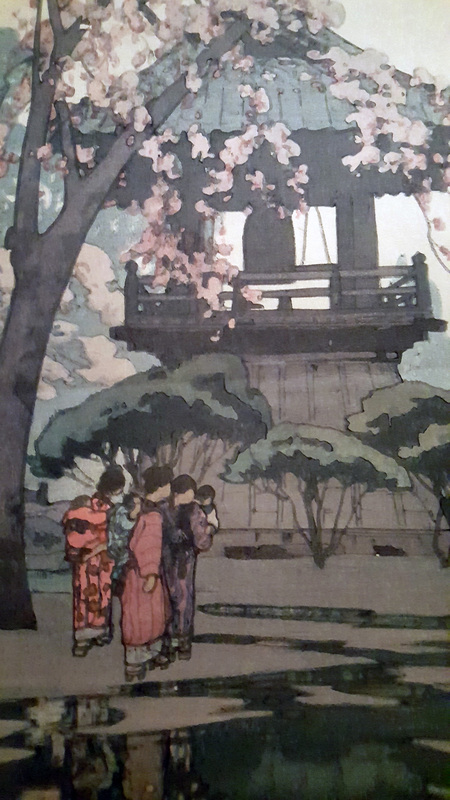 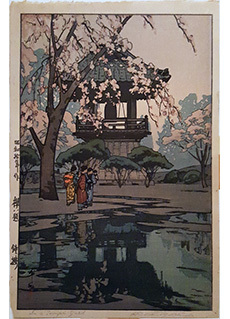 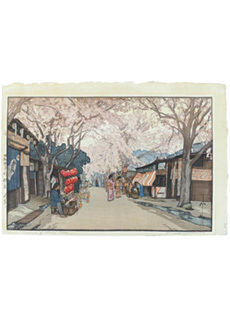 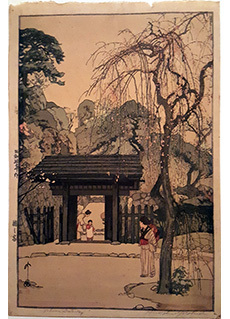 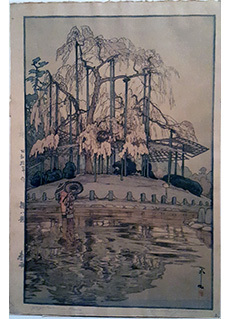 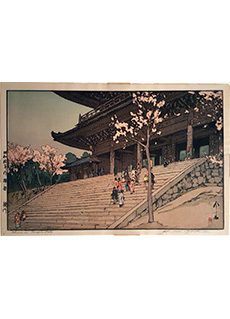 An original Japanese shin-hanga woodblock print titled In a Temple Yard in English and Bell Tower in Japanese (鐘楼 _Shōrō) from the series Eight Views of Cherry Blossoms (櫻八題 Sakura hachidai) by Yoshida Hiroshi (吉田 博, 1876-1950). 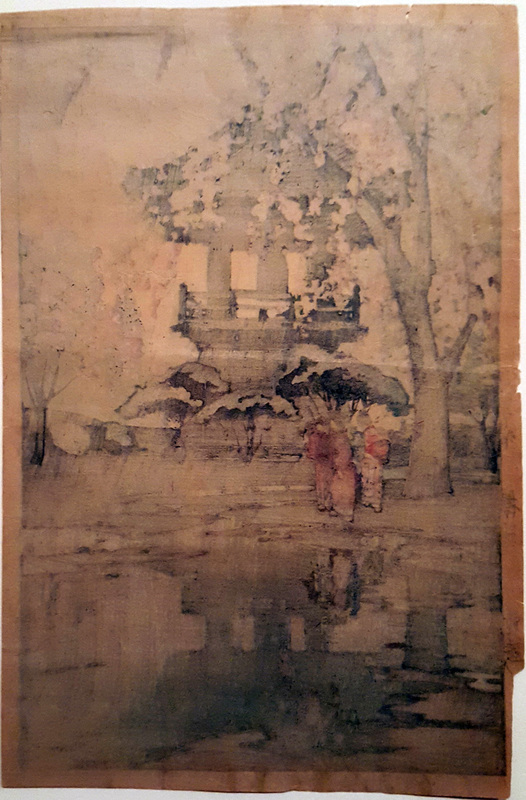 Published by Watanabe Shōzaburō (渡辺 庄三郎, 1885-1962) in 1935, this work depicts a series of figures walking toward a building seen to the center of the piece, their reflections clear in the puddles underfoot. 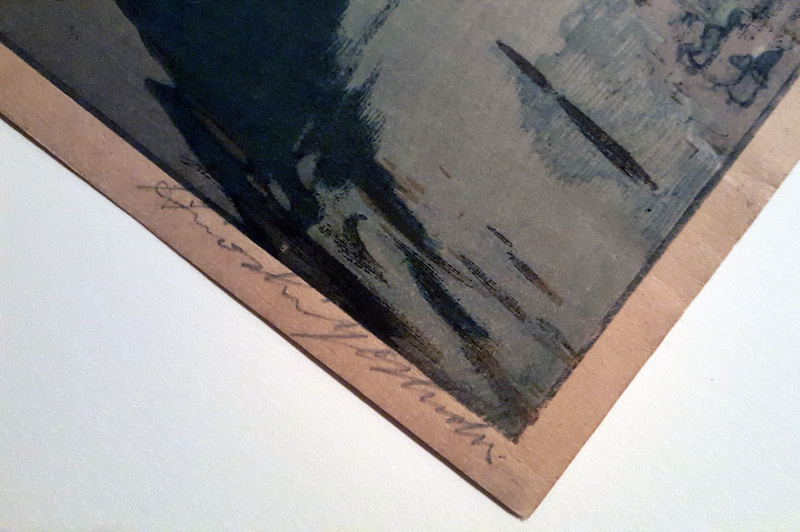 The artist’s signature and seal are printed in the lower left corner. 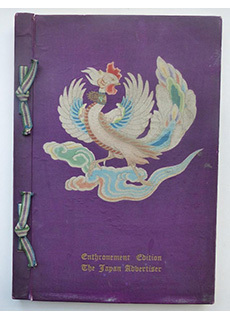 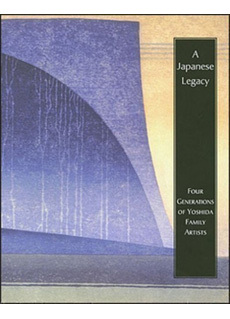 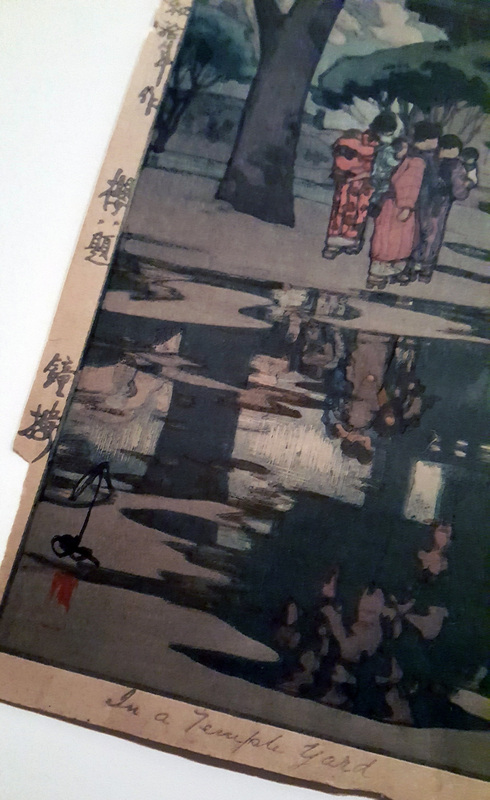 The Japanese print and series titles are printed in the left margin, and, in English, the work is signed and titled in pencil to the lower margin. 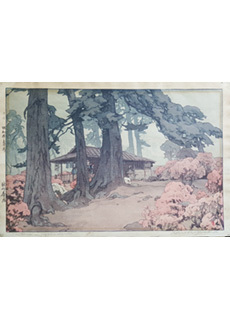 Unframed, this print awaits your choice of presentation. 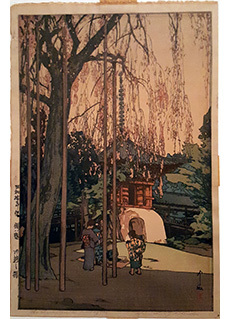 Condition: Good - to fair. 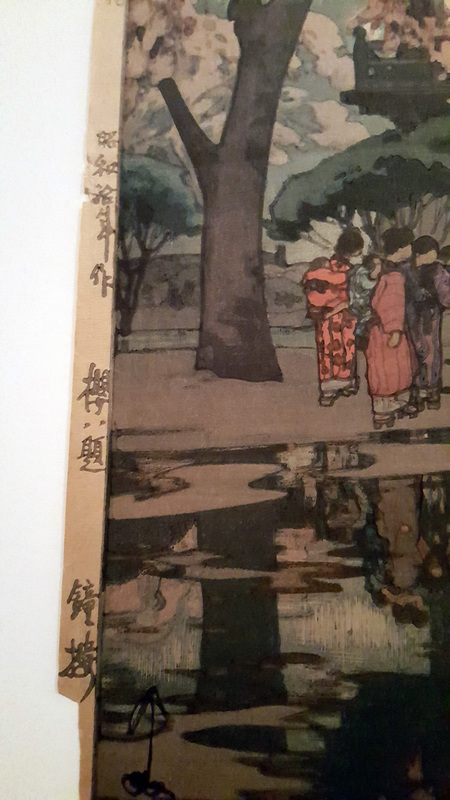 Print has faded over time. 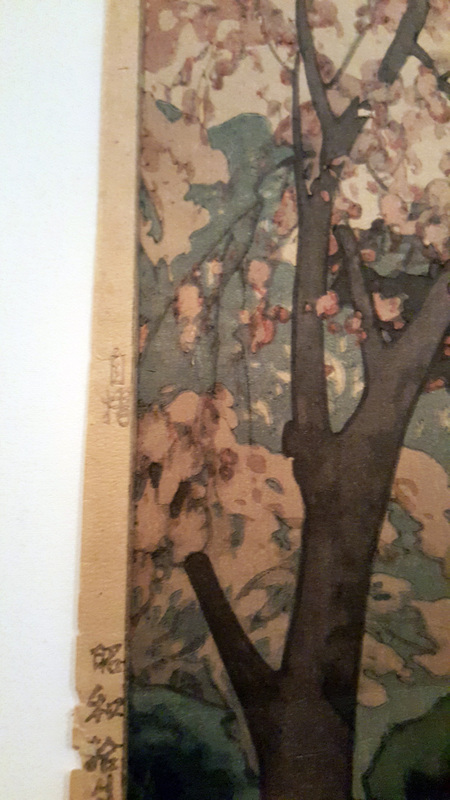 Tear present to lower left corner. 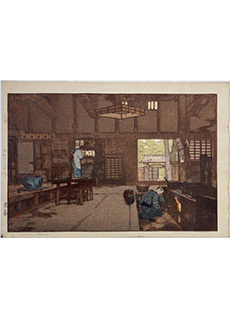 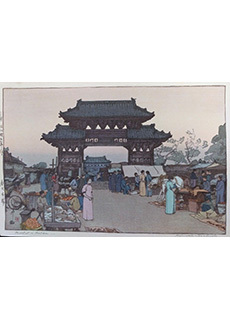 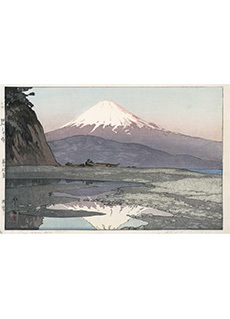 Hiroshi Yoshida is known for his woodblock prints that portray peaceful settings and his contribution to advancing and modernizing the traditional Japanese shin hanga (new print) style and method.